Precious metals futures ended divided Thursday, registering only modest changes. Gold and silver closed lower while platinum and palladium finished higher. Gold for December delivery shed $2.70, or 0.2%, to settle at $1,208.20 an ounce on the Comex division of the New York Mercantile Exchange. "It’s a break of the correlation today between the dollar and gold. Even though the dollar is down, we’re not seeing that equate to higher prices in precious metals," Reuters quoted Chris Gaffney, president of world markets at TIAA Bank. "It just seems like the sentiment for the meals is very negative." Gold futures ranged from a low of $1,205 to a high of $1,218. 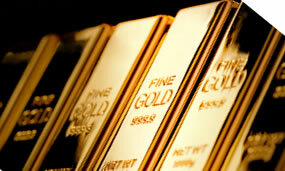 The precious metal saw gains early, following the latest report on U.S. inflation. Gold prices had seen gains in the wake of some morning U.S. economic data,” noted Jim Wyckoff, a senior analyst at Kitco Metals Inc. "The August consumer price index came in at up 0.2% versus expectations of up 0.3% from July. The producer price index on Wednesday also came in lower than expected." Gold tacked on 0.7% on Wednesday — closing at their best level since Aug. 29, moved up 0.2% on Tuesday, and dipped less than 0.1% on Monday. Silver for December delivery gave back 4.9 cents, or 0.3%, to settle at $14.244 an ounce. Silver futures traded between $14.20 and $14.39. They moved up 1% on Wednesday, lost 0.2% on Tuesday — ending at their lowest price since since Jan. 22, 2016, and dipped less than 0.1% on Monday. October platinum rose $3.40, or 0.4%, to $803.30 an ounce, ranging from $799.30 to $813.70. Palladium for December delivery added $3.70, or 0.4%, to $968.70 an ounce, trading between $963.20 and $973.60. Gold gained $14.20, or 1.2%, to 1,209.80 an ounce. Silver added 7 cents, or 0.5%, to $14.225 an ounce.